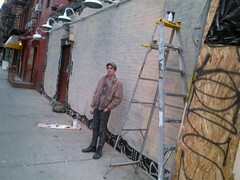 Daniel Maurer The mural-in-progress this morning. Ray LeMoine David Nordine on Saturday. 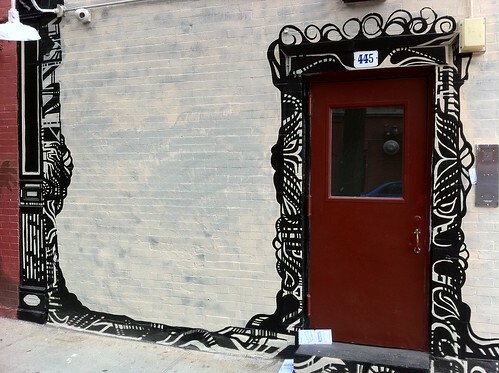 Mr. Nordine, who lives on Third Street, has done other work in the neighborhood, including murals on the walls of Mama’s Food Shop and the Lower East Side People’s Federal Credit Union.